to seeking out talented applicants. Directory Box Word press Theme let you add as many listing types as you want, assign them child categories and show them the way you like. No limits! Directory Box WordPress Theme comes equipped with ad banners to earn from your website from advertising spaces. Earn revenue from your website by charging for a listing submissions or offering them free option to enjoy freedom using directory wordpress theme. Use one click demo import feature of Directory Box and create website same like demo in minutes. Install demo, modify and change as per needs. One theme, complete solution by all means. 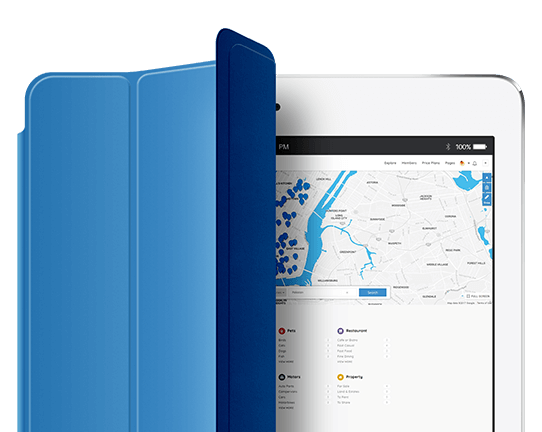 With all-new look, Directory Box is full of amazing, preloaded new features to bring success for your business. Directory Box WordPress Directory Theme is compatible with one of the most widely used payment gateway, Woo commerce. With Woo commerce, you can receive payments at ease of multiple gateways. Directory Box is a Directory WordPress Theme that offers unique feature of internal messaging system. User can contact listing owner. They can communicate with each other through smooth, super-fast internal messaging system. Website is by origin a universal product which is used by people from all over the world. Directory Box Directory WordPress Theme is fully translatable in any language to make your website for global. for a listing theme, pricing is always an important section. With Directory Box WordPress Theme, ad multiple pricing plans for the listing. Create packages of your choice from the backend with easy to use admin panel. For a website owner, revenue generating prospects are always important. Directory Box Directory WordPress Theme is fully equipped with it and comes with ad banners to earn from your website from advertising spaces. Directory Box WordPress Theme is a complete listing theme that takes care of revenue by all means. Claim listing is yet another feature where website owner can sell listings of his website through claim listing feature to generate more revenue. 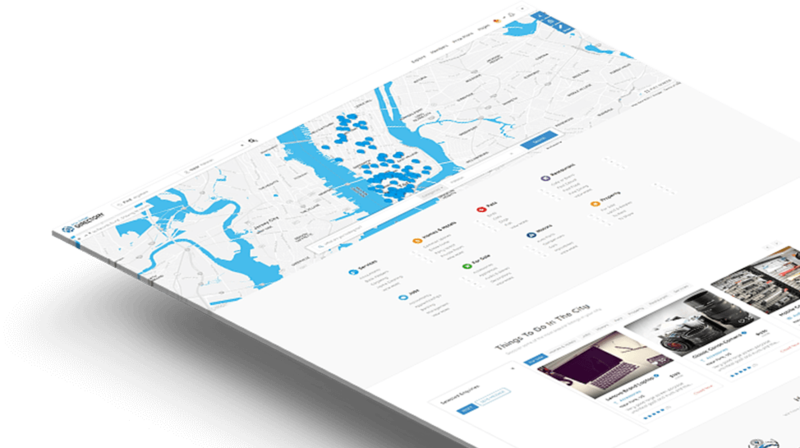 With Dashboard & Email notification, Directory Box Directory WordPress Theme gives you facility to see all activities in one notification Dashboard. It also keeps you updated about new activities by sending notification emails. With Directory Box WordPress Theme, user can save his search criteria or keywords. Whenever a newly added listing matches saved search criteria, user is sent notification about the matching listing. Directory Box Directory WordPress Theme comes with custom email templates where admin can set email alerts for users. Whenever a new activity is generated, user is notified through email notification. Directory Box offers incredible feature to earn money from your website using membership packages that will boost your financial status for sure. Frontend posting is a big break from complicated campaign methods and let Directory Box wordpress theme users post their listings in a few clicks! That’s all! Offering listings with expiry date is an evident handy feature of directory Box Word press theme that keeps you away from the hustle of manual deletions. A lot more! With one-click demo import feature of Directory Box WordPress Theme, import complete demo content, design, and structure to make your website exactly like demo and use advance page builder to make changes of your choice. ReVIEW system shows clear image of the business and can take it upto the standards heights as expected by any corporate business owner. Easily categorize your directory listings using unlimited categories in Directory wordpress theme, just put them under umbrella of respective property type to get categorized. So easy! Contacting listing member can never be such easy! User may contact listing organizer either via email, phone or message to obtain efficient business solutions. Need convenient and refined search options? Directory Box wordpress theme offer paramount options to search listings according to your choice from a specific location. Correct and immediate information about product is vital for better development. Just add questions and their corresponding answers with minimum effort to facilitate your client hunt. Be the first target of search engines using Directory Box WordPress Theme with awesome search engine friendly URLs feature. Users always love the liberty to show their likes and dislikes while visiting any website. With Directory Box WordPress Theme, ad listings to their favorites and remove them in case of no interest. Directory Box WordPress Theme comes pre-loaded with PayPal payment gateway. Charge users through secured and efficient, most trusted and easy-to-use payment method. Directory Box WordPress Theme is fully responsive and adjusts automatically to look perfect on all desktops, mobile and tablets. Your website would be Great for user experience indeed! Directory Box word press theme offer amazing options to play with colors that suits your choice and best business needs. Not that easy before indeed! No needs to have manuscript design for fonts. Just drag and drop fonts from the vast Google font’s library to CS font manager. It’s striking, fast and easy to load. Tired of buying paid plugins along with theme? Just download Directory Box WordPress Theme and enjoy amazing responsive features of famous revolution slider plugin entirely for free. Compatibility with Wpml plugin is another super awesome feature offered by Directory Box WordPress Theme. No stress and little effort to create multilingual website. Conveniently manage your content using flexible sidebar options that brings freedom to play and add sidebars on both sides of posts and pages. Directory Box WordPress Theme helps you rank higher in search engines and get more traffic with built-in SEO support along with compatibility of Yoast SEO and All-in-One SEO plugins. "Thank you Anna for your wonderful support. This theme exactly fits into my need. Thank you so much." "Excellent customer support. I had a problem with the installation and the service was great. Keep that way"
"The Best THEME wordpress ever seen!!! Congrats team Directory Box Wordpress Theme for this great job"
"Thanks for you support Jack Stewart,. It was awesome getting the support in a short span.. u guys rock." Customer is real asset and customer satisfaction is real earning for us. Directory Box WordPress Directory Theme development team answer all your questions through support and live chat system during office hours. All support related requests are handled with top priority, urgency and care. Get premium support through dedicated support forum. Directory Box WordPress Directory Theme comes with complete documentation that provides perfect explanation of every feature and functionality. From installation to modification, there is complete guide that serve as personal assistant to create a stunning and beautiful website in minutes.